Home Farm is a small family run day nursery in Bromsgrove, Worcestershire. Caring for up to 49 children the nursery is set in an idyllic, rural location within two acres of private grounds. Our aim is to provide the highest quality childcare where each child is nurtured to reach their full potential in a fun and exciting environment. 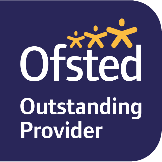 The nursery is registered with Ofsted to provide care for children aged 3 months to 5 years. recognising each child’s individual needs. The nursery is divided into four main areas - Ducklings, Squirrels, Hedgehogs and Lambs. and a purpose built construction zone. Ample private car parking is available for ease of drop off and collection.